For more than 50 years, Meadow Lanes Bowling & Banquet Center has been providing both family-friendly and 21-and-over fun to Gladwin, Michigan. 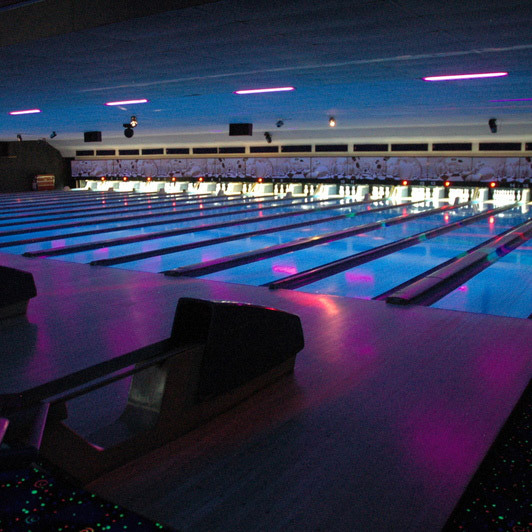 We offer a full-size bowling alley, complete with a banquet area, arcade, snack bar, pro shop and lounge for families and friends of all ages. destination for wholesome family fun and recreational functions since 1964. We strive to provide genuinely friendly customer service and an engaging environment for all ages, offering both family-friendly games and a 21-and-over bar. You’ll find something for everyone here. We offer truly affordable prices for open bowling. Check out our weekly specials and free children’s bowling program. Our pro shop is IBPSIA certified. Our pro technicians have over 15 years of experience and use only the latest equipment and techniques. We’ve been serving Gladwin County for more than 50 years!